Copic Australia | Introducing Our New Copic Hand Lettering Set! 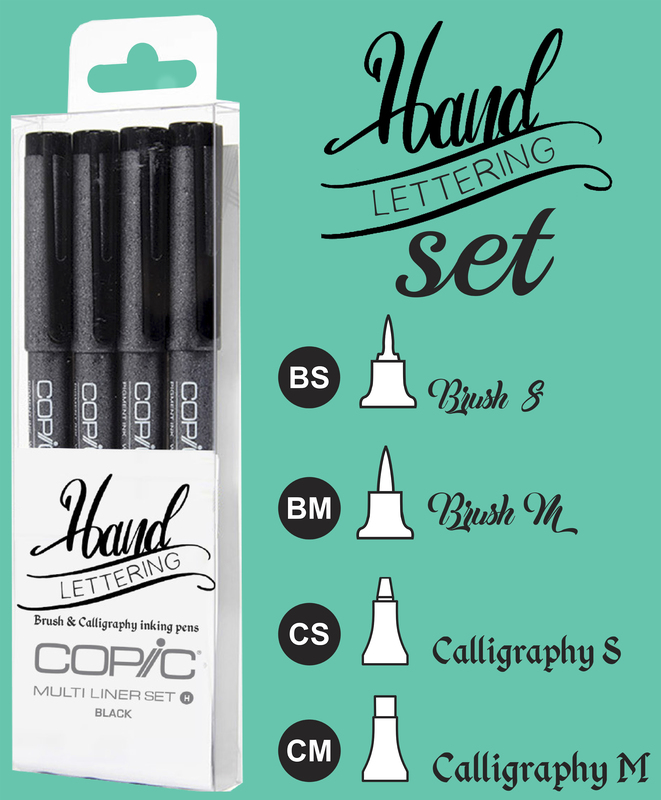 Introducing Our New Copic Hand Lettering Set! These new sets contain two Copic Brush Multiliners & two new Calligraphy Multiliners! When it comes to any type of hand lettering knowing the basics will really help in mastering your own style in the future. Here are a few tips to get you started! Basically, down stokes are thicker than up stokes. With your down strokes, start by writing lines from top to bottom. Once you have practiced this a few times you’ll notice that you get different thicknesses depending on how much pressure you apply. The key is to try and make them a consistent weight. For your up strokes these are like hairlines and don’t require much pressure at all. Practice these a few times and work at making them thin and consistent. This is the writing line where all the letters sit on. This is the line above the base line. The body of the lowercase letters sit between the waist and base line. This is the line that keeps all of your ascending letters in line in terms of height. This is the line that keeps all of your descending letters in line. This sits below the waistline. • Multi Liners will work best held on a 45 degree angle. • Applying even pressure will help keep letters consistent.